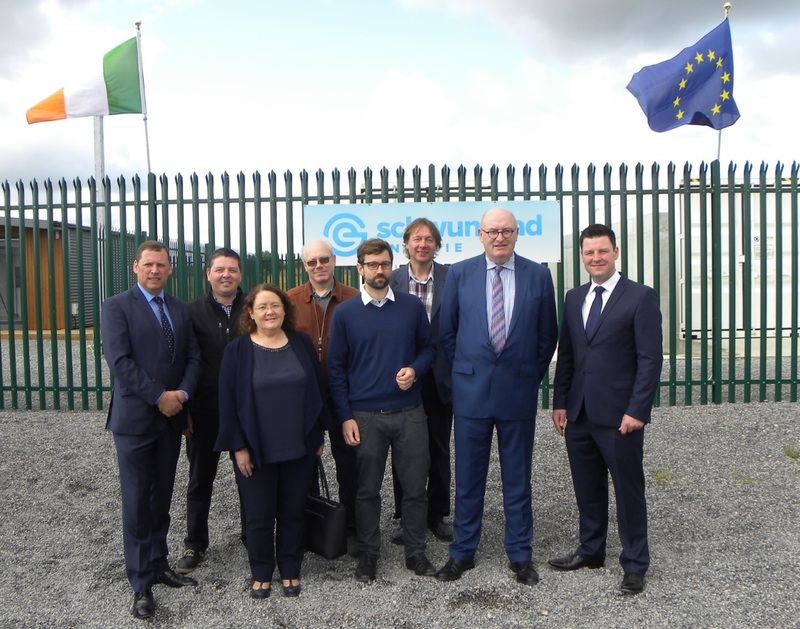 State of the art technology is necessary to strengthen grid stability and ensure renewable energy targets are met, Commissioner Phil Hogan said at the launch of the Trial Phase of a new hybrid flywheel energy project in Rhode, Co. Offaly. The “AdD HyStor” project, coordinated by Irish company Schwungrad Energie, has already received close to €3m EU investment and will now be trailed for development commercially. It is being developed in association with German companies Adaptive Balancing Power and Freqcon and the University of Sheffield in the UK. Officially launching the Trial Phase Commissioner Hogan said: “The 2020 renewable energy targets will have to be met by all EU Member States, including Ireland. “In order to meet its targets and avoid potential fines, Ireland needs to heighten its ambition and speed up implementation. The European Commission will continue to invest in projects which contribute to enhanced energy sustainability for our citizens, and the state of the art Hybrid Flywheel-Battery pilot in Rhode, Co. Offaly, is a good example. “Ireland is making good progress in renewable energy generation, notably through wind power, but storage capacity needs to improve in order to strengthen grid stability, which is why the Commission supported this project to the tune of €2,944,001. This facility can make an important contribution to Ireland’s energy future,” Mr Hogan said. The project has important potential both commercially and in assisting a rapid move to a decarbonised electricity supply which has knock on benefits for low carbon transport and heating, Jake Bracken of Schwungrad Energie explained. “It will enable transition to wind and solar electricity delivery, providing essential stability and reliability to the electricity grids both in Ireland and throughout the EU. At a commercial level, it has very significant potential to deliver manufacturing jobs. The project will provide access to Irish and UK markets and will be a contributor to requirements arising from the DS3 programme being rolled out currently by the EirGrid. The current trailing phase involves approximately six months testing at the Rhode facility followed by a further six months at the University of Sheffield, after which it will be expanded to facilitate full commercial development.